A lot of people have been kind enough to ask how Caitlin is doing, and how the process is going, but like most things in life, everything takes longer than you expect. That long transplant “health maintenance” checklist I mentioned? Ticking it off leaves a lot of room for hold-ups and delays, glitches and bumps. It’s similar to putting on an addition and having the plumber hold up the plasterer, the floor guy, the painter, and everybody else. The details are not worth mentioning, but we are hoping for the listing to happen soon, and have faith that everything will happen when it’s meant to happen. Meanwhile, Caitlin’s been re-connecting with her friends in the city. She’s able to do a bit more as she gets used to using oxygen 24/7. She stopped IV medicines last week, so regardless of the transplant stuff, she’s just trying to stay stable. It was 67 degrees here in Boston today so that made the whole city happy, including us. Also, she’s looking forward to the new Mad Men season because she now lives for passive entertainment. She’s currently reading Primo Levi, and we are both looking forward to seeing the new Wes Anderson movie. 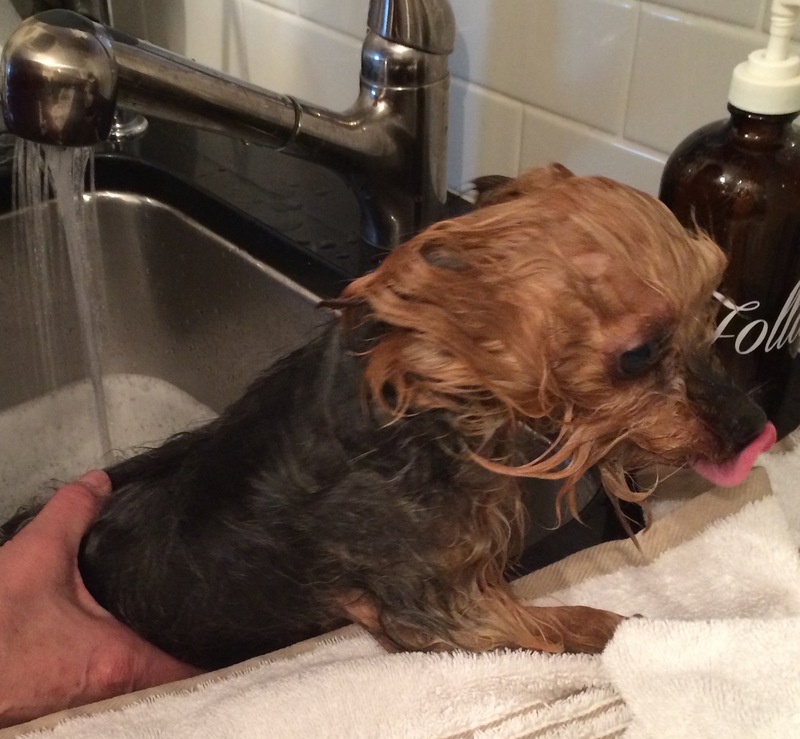 Oh, and big highlight of last week: giving Henry a bath. It was 67 degrees here in Boston today so that made the whole city happy, including us. Also, she’s looking forward to the new Mad Men season because she now lives for passive entertainment. Not to say she isn’t reading. She’s reading someone she admires, Primo Levi, and we are both looking forward to seeing the new Wes Anderson movie.